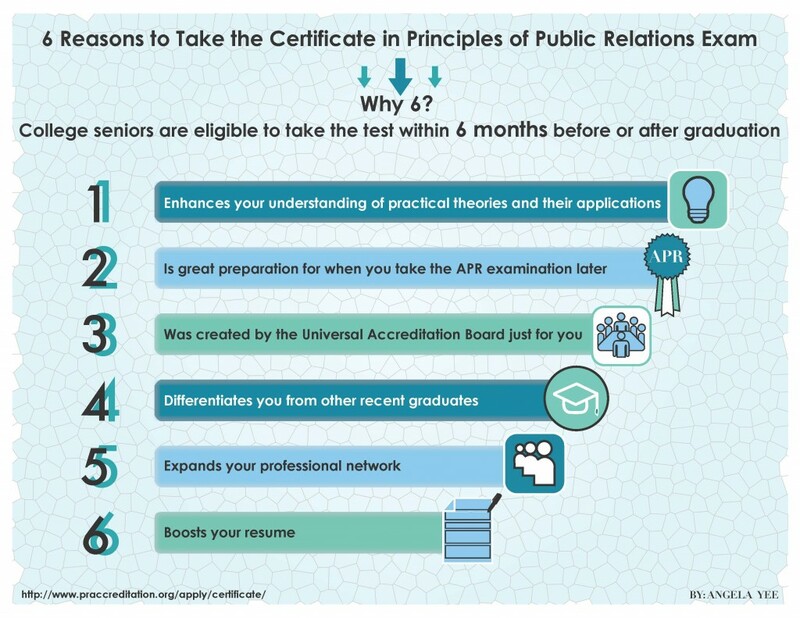 The National Certification in Principles of Public Relations gives graduates an edge with national credentials and is an excellent resume builder. This FREE prep course is a great opportunity to gear up for this exam. Students from Seton Hall and Monmouth Universities took this course last year; all who took the exam passed. Want to be a part of this? Contact Dr. Kathy Rennie (New Jersey City University), Professor Kris Simoes (MU) or Professor Mary Harris (MU) for details. You must be a PR concentration and within six months of graduation to qualify. 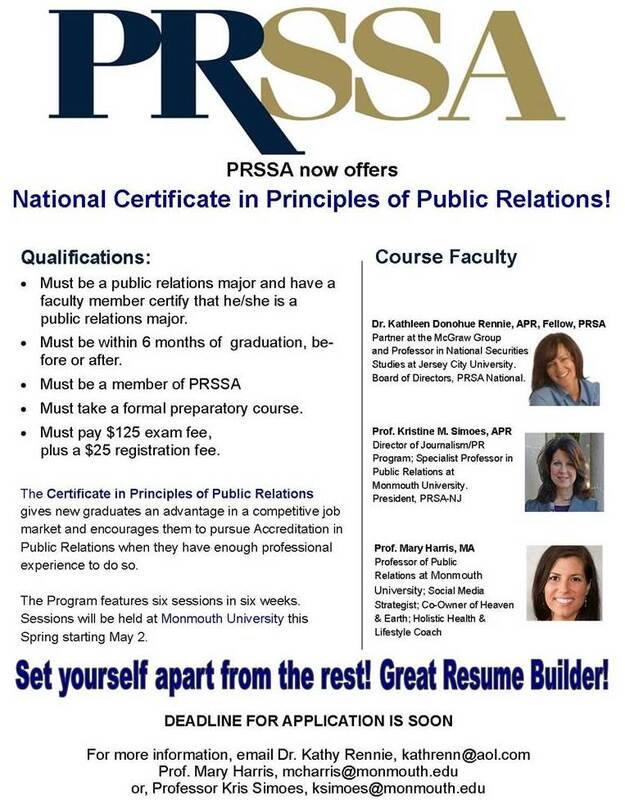 This PRSA PR Certificate course is open to all PRSSA chapters statewide. Sessions will be held at Monmouth University and begin May 2.